This item is now discontinued. Please see direct replacement MK9540. The Honeywell Voyager MS9520 single line high-visibility laser barcode scanner is one of the most popular entry level barcode scanners ever. The Voyager MS9520 model does not have a trigger (triggerless). The Voyager MS9520 is capable of reading all 1D barcode types, and it has a patented infrared technology that wakes the scanner out of sleep mode when a barcode is placed in front of it. 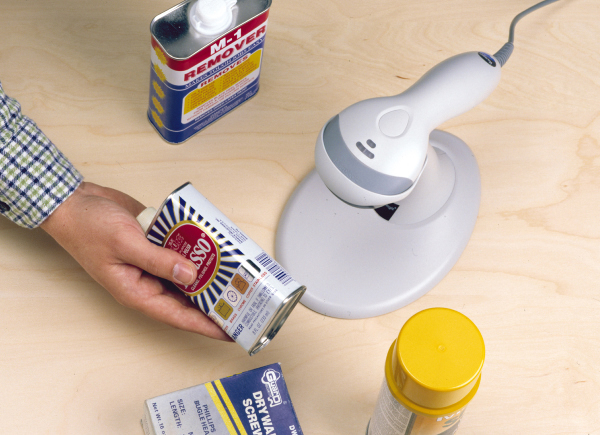 The Voyager MS9520 comes with a hands free stand that allows even greater scanning flexibility for the user. The Honeywell Voyager MS9520 is a reliable, low cost entry level scanner that is excellent for low to mid volume POS stations. The Voyager MS9520 scanner comes with an amazing 5 year warranty, so that should give you an inclination of just how durable this scanner is. Buying Tip: The Voyager MS9540 model comes with a trigger.